Management of National Lotto Center in Lod tells Otzma Yehudit that their event planned on the premises was cancelled by order of the city. The Chairman of the Lod municipality ordered the management of the National Lottery Center in Lod to cancel a conference with right-wing political party Otzma Yehudit, thus breaking a contract signed with the party. The conference was supposed to have taken place at the Ort School at the National Lottery Center. Otzma Yehudit had signed a contract with the site’s management, in which it was clearly stated that the planned event was an Otzma Yehudit conference. In a conversation, the site’s administrative director Mrs. Leah Haguel can be heard telling Otzma Yehudit field coordinator Tzvi Sukkot that the city municipality had ordered that the contract be cancelled. The field coordinator asked Hajuel if there was any reason, and she replied: "I have no idea ... I was told not to carry out [the contract] and so I am not doing it." The field coordinator asserted claimed that such action constituted a breach of contract, to which Hajuel responded: "There are people above me [...] You are right in everything you say, but I received an instruction not to comply and I have to implement it." In response to the cancellation of the conference, Otzma members announced that the conference would take place in any case on Monday in Lod at Gandhi Garden, in the city center. 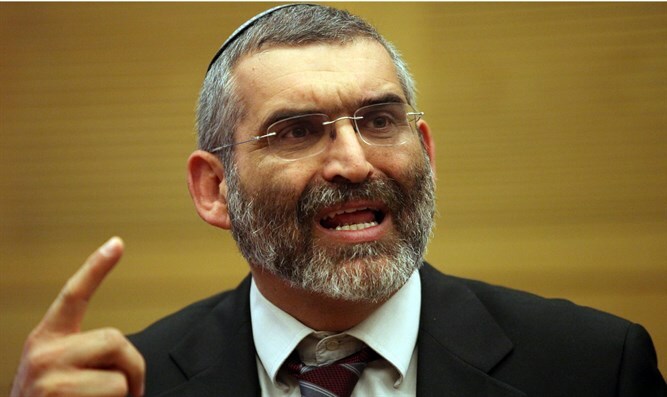 Chairman of Otzma Yehudit, Dr. Michael Ben Ari, said, "This constitutes the silencing of voices, it is not hard to guess what would have happened if we were dealing with a cancellation of a Joint List or Meretz conference. The Chairman of the Lod Municipality is acting out of political concerns, and we will file a suit against the auditorium and the Authority for hundreds of thousands of shekels. Neither will we give up, we will not shut our mouths, and next Monday at Gandhi Garden we will hold an Otzma Yehudit conference despite the rage of the enemies of Israel and all those who seek to shut mouths." Attorney Itamar Ben-Gvir, one of the leaders of Otzma Yehudit, said: "The National Lottery Center and the Ort administration are acting against the law and caused great damage to the Otzma movement. Beyond the legal question and the issue of monetary compensation, for which we will sue in court, is the issue of the silencing by the Lod municipality specifically of a movement that calls for love of Israel and encourages Israel's enemies to emigrate to their countries."